If you want a Hollywood smile but have less-than-perfect teeth, porcelain veneers at Omnia Dental Care in Chino Hills, California, may be the answer. Expert dentists Dr. Rupporn Priyawat and Dr. Maria Kim create a perfect, natural smile with dental veneers. To find out how dental veneers can enhance your smile, call to book an appointment today. Veneers are one of the most well-established procedures in cosmetic dentistry. Veneers are thin, wafer-like shells of porcelain that Dr. Priyawat or Dr. Kim attaches to the front of your teeth to achieve an instant smile makeover. Individually crafted to complement your natural good looks, veneers correct a wide array of cosmetic concerns, such as eliminating stains and closing gaps between teeth. With modern advances in cosmetic dentistry, it’s easier than ever to have a Hollywood smile of your own. In addition to enhanced appearance, veneers provide more strength and durability than natural tooth enamel. An important thing to consider before getting veneers is that the change is permanent. In order to place the veneers, Dr. Priyawat or Dr. Kim must scrape a thin layer of enamel from the surface of your teeth. Therefore, the procedure can’t be reversed. The best way to find out if veneers are right for you is to discuss your aesthetic goals and concerns with Dr. Priyawat or Dr. Kim during a consultation. 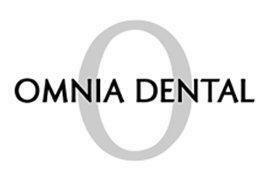 If veneers aren’t an option, the team at Omnia Dental Care may recommend another procedure, such as teeth whitening. Just like regular teeth, it’s important to brush and floss your veneers every day. Use a gentle, non-abrasive toothpaste and a soft-bristle brush. To keep your veneers bright, it’s a good idea to limit foods and beverages that stain, such as coffee or tea. Remember that, no matter how well you take care of your dental veneers, they will need to be replaced at some point. With proper care and oral hygiene, you can expect your veneers to last anywhere from 10-20 years. To achieve the red carpet-worthy smile you’ve always dreamed of, call Omnia Dental Care to book an appointment today.